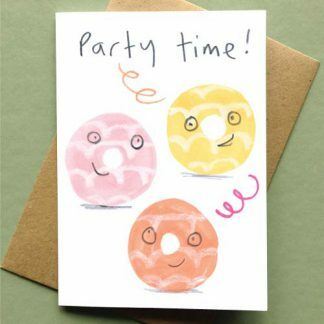 A cute funny Birthday card ‘Lets go Bananas It’s your Birthday’ perfect for your best party pal, or a fun children’s birthday card. Get your fruity fix with these cheeky banana characters sure to brighten somebodies day. 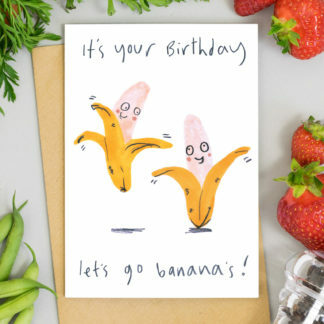 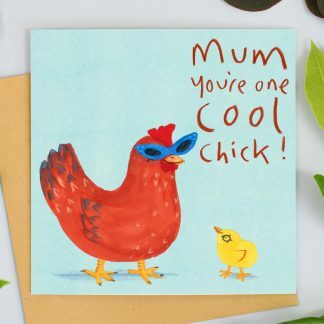 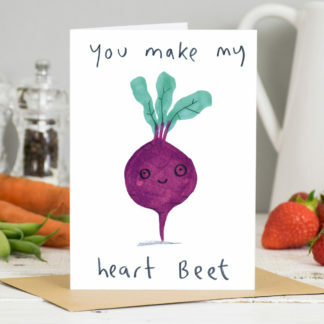 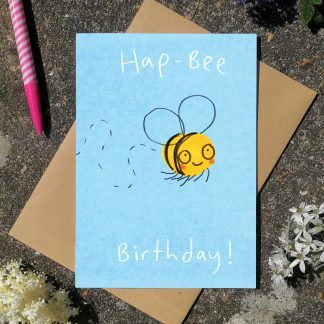 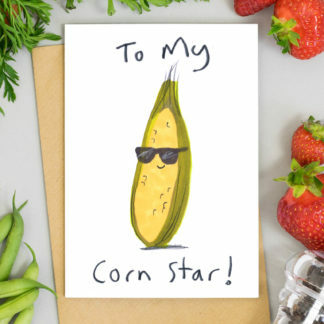 This hand illustrated card is from the best selling fruit and vegetable range of greetings cards.